Buyer personas are an important part of the SEO marketing strategy for your business. They permit you to improve your connection with your target audience, further hone your new identity, and increase your marketing campaigns. If your marketing strategy lacks buyer personas or should they want an update, keep reading to learn more about buyer personas as well as how to make them for your business. Creating buyer personas have become the most critical step in true marketing. Buyer personas make it feasible to target ads to particular needs, behaviors and queries. Without this step, marketers waste their efforts and resources by using the wrong online marketing strategies for their business that can result in poor results. A profitable SEO strategy is built around the needs of your customers and providing relevant content to answer real-world questions. Search engines and other platforms are ways to distribute your content, and over time, your business will be able to sell more product/services. Companies that do not start with the needs of their customers will end up wasting a lot of time and money on content that does not connect with their customers and this will lead to unsuccessful marketing strategies. A Buyer Persona is a semi-fictional representation of your ideal customer based on market research and real-world data from your existing customers. Buyer Personas can help you build content and messaging around the needs of your customers. As you build your Buyer Personas, you should consider customer demographics, behavior patterns, motivations, and the goals of your customers. This marketing tool helps provide a description that will help you attract buyers just like them. This is because personas help your company identify what your customers are thinking, feeling concerned about, hoping, expecting, planning, and believing. One of the best ways to create content and play them promotional campaigns that truly engage your target audience is by creating a Buyer Persona. Having a definition to outline your marketing efforts will help keep your entire marketing team focus your time, energy, and resources by producing great content that gets results. Use Personas today to help your company find commonalities between your target audience so you can make more relevant content that will appeal to a wider segment of your market. Why Are Buyer Personas Important For SEO? A Buyer Persona is a powerful tool to help marketers build relevant content for your audience. Buyer Personas provide structure and insight for your company so you can determine where to focus your time and resources to drive more sales. Personas help your team create tailored content, messaging, product development and services for your customers. The strongest Buyer Personas are based on market research, plus real-time data means that you can gather more information for your business and produce better information for your marketing efforts. When choosing a product or service, people naturally gravitate towards businesses they know and trust and the best way to build trust as a show genuine understanding and concern for your audience. Gaining the trust as a business requires a subtle but important shift in the way that you represent yourself. If you are not sure about how to develop a Buyer Persona then you should consider reading the best marketing books for marketers and business owners. Instead of creating content for a wide range of people, you can spend your marketing resources to research, optimize, and publish content on your ideal customer segments. Integrate your buyer personas into your marketing strategy to drive more sales today. The real value of a Buyer Persona is that you can use this tool to create content messaging that appeals to your target audience. At the same time, Personas will help you invest your time and resources and activities and content that will meet the needs of your intended audience. This means that you can create custom content based on individual needs or your customers, so you can get found online and close more sales. Product development. Personas are in central when building product roadmaps. Personas will help you identify and prioritize changes in your offerings based on what your customers need the most. Build better marketing strategies. Personas help your team focus keyword research efforts that are used in reference when creating content for blog posts, small business social media strategies, and video. Improved sales. Buyer personas can also help your sales team build rapport with potential consumers. 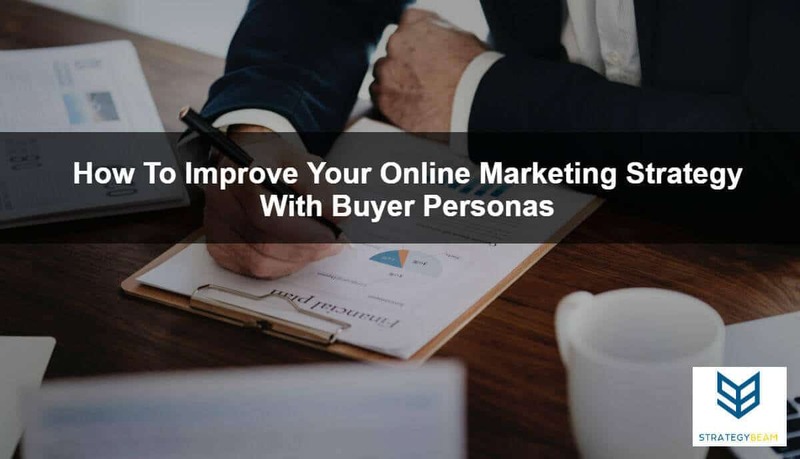 You can use your buyer personas to help fuel your PPC management strategy too, and use data from your PPC and SEO marketing strategies together to help improve your content. Not only will this approach help inform you about the needs of your customers, it will also focus resources to develop answers that your customers are looking for. Use buyer personas to improve your business today! What Questions Should You Ask When Building Buyer Personas? The question that you should ask as you build your Buyer Personas will vary based on your company, industry, and goals. However, here are some basic factors that you should consider as you create a complete persona profile. Demographics. Think about the age, gender, and income level of your audience. This information will guide your language and tone. Why did they buy your product? This information will help you understand what primary purpose your audience seeks as they purchase your product and service. Where did they buy your product? This will help you understand the type of messaging you will need to communicate with your customers. How your product is used. What functions are most important to your audience, and how will you improve this product or service to stand out from your competition? what solutions does your product or service provide? How does it enhance their life or what challenges does it solve for your customers? Think about specific pain points that you can solve. When do your customers buy your products or services. Understanding how seasonal SEO impacts your sales cycle is vital to ensure you create and promote your content at the best times throughout they year! These are just a few questions that you and your marketing team should ask as you build out buyer personas to understand your customers. Buyer Personas are created through research, interviews and surveys. This marketing tool is essential to ensure that your company produces great content for your customers. However, your personas will be worthless if you do not conduct research and use accurate data. Here are some practical methods that you can use to gather information and develop buyer personas. Look through the database of current customers to find trends and patterns that exist since your current customers find your products and service solve their problems. You can find ways to identify what unique values your customers want and need to when creating forms. Collect information. Be sure to collect information that matters to you. This means that you should include forms on your website, email surveys, and in-person surveys that provide your business with the information that you need. Talk to your sales team to understand what your target audience is looking for and how your business is positioning itself in the market. Use these tips to produce accurate personas to use in your marketing efforts today!